Available stand-alone or as a companion to the New Solution NS-Pro digital press, the New Solution NS-F22 digital label finishing system brings ultimate versatility to the world of digital label manufacturing with it's innovative dual-finishing modes. 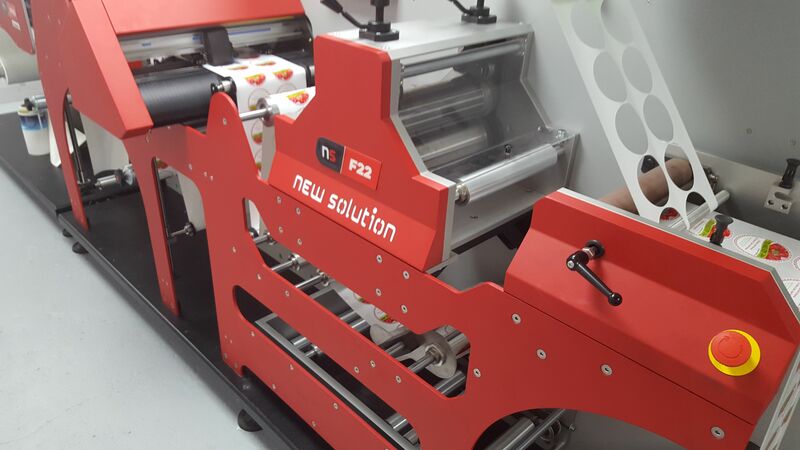 Incorporating both a digital plotter drag-knife system for ad-hoc cutting of virtually any shape of label on the fly, or for larger print runs a heavy duty semi-rotary die-cutter, the NS-F22 has the means to handle all your label finishing requirements. The NS-F22 includes cold lamination to add extra protection to your labels if required, while an automatic web-steering system keeps the media straight and true during cutting operations for ultimate accuracy. 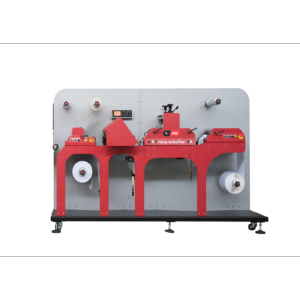 The NS-F22 can be used in-line with the NS-Pro label press as a complete label production system where required. #WARRANTY# 12 months parts and labour warranty. 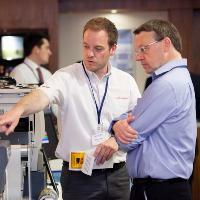 On-site servicing available. All-In-One click charge contracts available with inclusive backup and support. Enquire with us for further details.